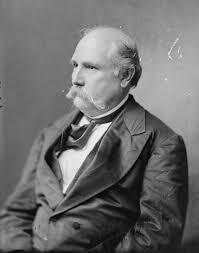 Today in Masonic history James L. Alcorn is born in 1816. James L. Alcorn was an American politician. Alcorn began his political career in Kentucky in 1843. Alcorn was elected to serve in the Kentucky House of Representatives. He served for only one year before moving to Mississippi. After moving to Mississippi he was elected to the Mississippi House of Representatives and Senate. In 1851 Alcorn was a delegate to the Mississippi Convention, called by Democratic Governor John Quitman who was trying to gain support for seccession. Alcorn helped to defeat the measure and made a prophetic warning that the South would be defeated by the North. Eventually secession passed and Alcorn enlisted in the Confederate Army. He was selected a Brigadier General and had an uneventful tour of duty that lasted 18 months. Alcorn was captured in Arkansas and later that same year was released. Alcorn maintained the wealth he accumulated before the war by trading cotton with North. After the Civil War ended he was considered one of the 50th richest men in the New South. In 1865 Alcorn was elected to the US Senate, like many other Southern Senators he was not allowed to take a seat in Congress while the discussions of reconstruction were going on. Alcorn supported Suffrage for Freedmen and supported the 14th Amendment. During this time Alcorn became the leader of the scalawags a political movement consisting of carpetbaggers, African-Americans who had been free before the war and Freedmen. Scalawags, a part of the Republican party and unlike other southerners, supported Reconstruction, and sought desegregation and racial integration. In 1869 Alcorn was elected Governor of Mississippi and would serve from 1870 to 1871. During his term he supported public education for all and a new college exclusively for African-Americans now known as Alcorn State university. In 1871 Alcorn resigned the Governorship to become a US Senator. He would replace his ally Hiram Revel the first African-American Senator.